Styled with leopard midi skirt . 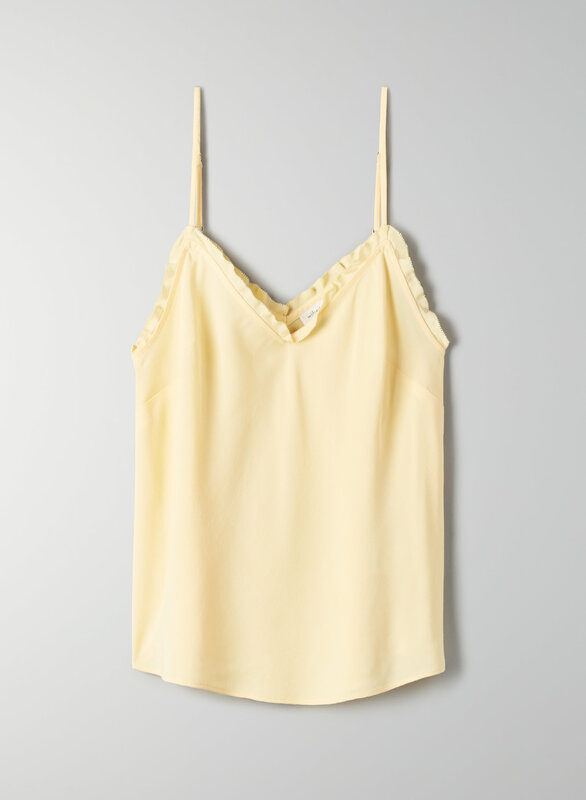 This is a camisole with adjustable straps and a ruffled neckline. It's made from a silk-like woven fabric that drapes nicely.